While UVA does some amazing stuff on Snapchat UNC is likely going to step up their game in the near future as well. 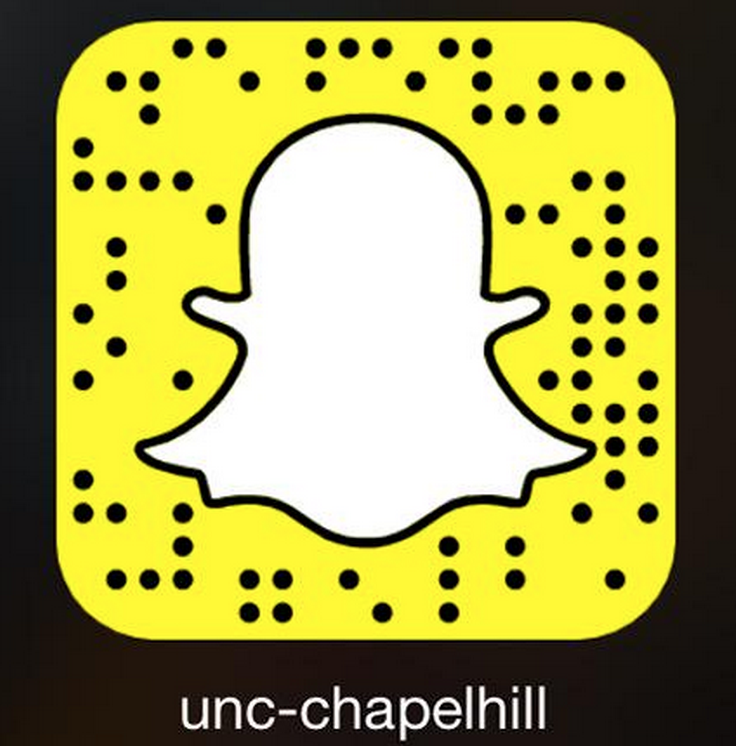 Below find the Snapchat QR code for UNC Chapel Hill. This was tweeted from the official UNC Twitter account so I have to imagine it is their official Snapchat account as well. If you know of any other colleges and universities that have Snapchat accounts please feel free to comment with their names below. I will continue to update the list of great Snapchat accounts to follow; feel free to click the category link for Snapchat codes to find more interesting accounts to follow.